Car donations can help a family within your local community build a house and the hope of a better life! By donating a car (model year 2000 or greater) to Habitat’s Cars for Homes™ car donation program, you help HFH of Mariposa County build houses in partnership with families in need of decent, affordable shelter. Donate a vehicle to Cars for Homes™ — Habitat’s official car donation program NOW. Call our office at 209 966-7444 for help in processing your car. You may also call HFH International toll free number 877 277-HFHI (4344) to donate a vehicle. 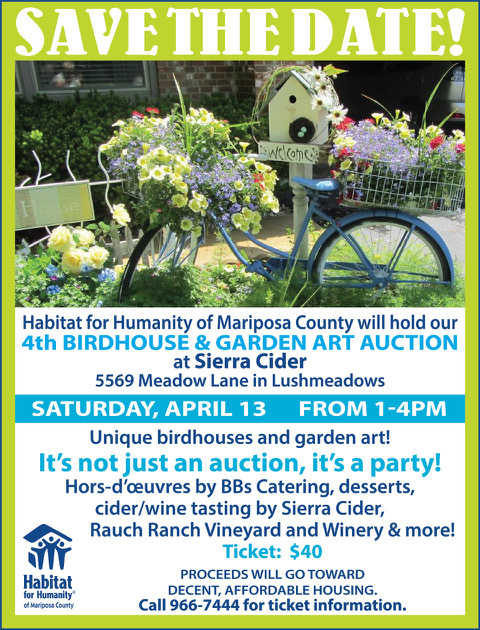 Make sure you specify that the donation is being made to Habitat for Humanity of Mariposa County. You may click the green bar below to process your donation online.